Each BLC event includes a highly technical 2.2 Pro and 2.2 Sporty class competition that is appropriate for levels of 2.2 Pro rigs. We hope you can make it and look forward to seeing you there. Members of all crawling groups, clubs and organizations are welcome. Come on out and enjoy a beautiful day in SoCal. In the meantime, here are the rest of the dates for Season 5. #1 September 8th 2018, Season opener @ "The Spot"
#5 January 12th 2019 cougar buttes green flag. 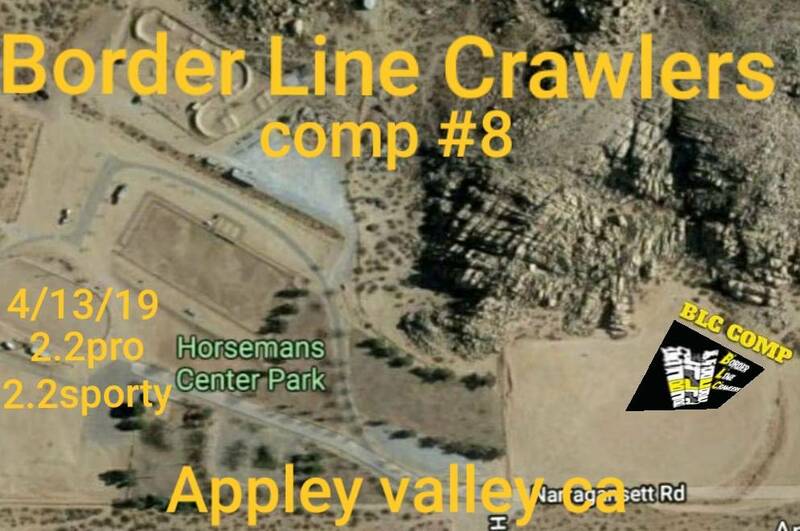 If you have any questions you can contact any member of BLC Border Line Crawlers on rccrawler.com or FB. Last edited by tapped-out; 03-24-2019 at 09:39 PM. how many drivers will be at this one. Not many going off of our last few comps..
Let’s shoot for May 11th don. Some say Tough courses Saturday I say perfect courses.